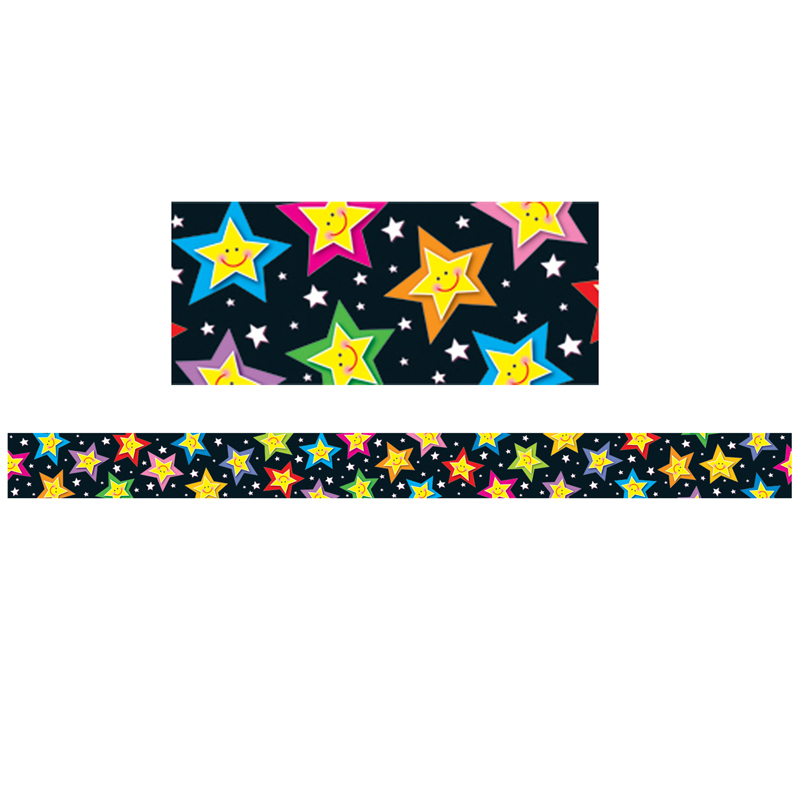 Accent your classroom theme or brighten up an ordinary bulletin board with colorful star borders. Straight edges for easy use and continuity of design. Each package includes twelve 3' x 3" strips for a total of 36'.